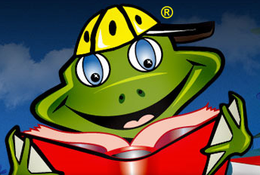 Eye See Eye Learn is a relatively new program in Ontario. The program provides comprehensive eye examinations to Junior Kindergarten children in certain school regions (including the Thames Valley District School Board). 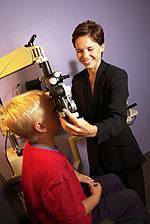 The eye exams are covered by OHIP, as are eye exams for any child 19 years or younger with a valid Ontario health card. The exciting part of the Eye See Eye Learn program is that if the child in Junior Kindergarten needs glasses, they will receive them for free courtesy of the participating sponsors (Nikon Lenswear and OGI). This program was developed to raise awareness among parents of the importance of having their childrens’ eyes examined upon starting school. Children who can’t see the board or focus on a picture or follow words in a book may struggle to achieve their full learning potential. Vision problems can also impact their social development and hand-eye coordination for physical activities. 80% of learning comes directly through vision. Children who are born with blurry vision, due to high prescription or eye health abnormality, don’t know what “clear” vision is and wouldn’t know to complain of vision problems. Catching these problems early is key. The Eye See Eye Learn program aims to give Junior Kindergarten students the best start to learning. To find out more about the Eye See Eye Learn program or to see if your school board is participating, visit: http://www.eyeseeeyelearn.ca or learn more about OHIP Coverage.